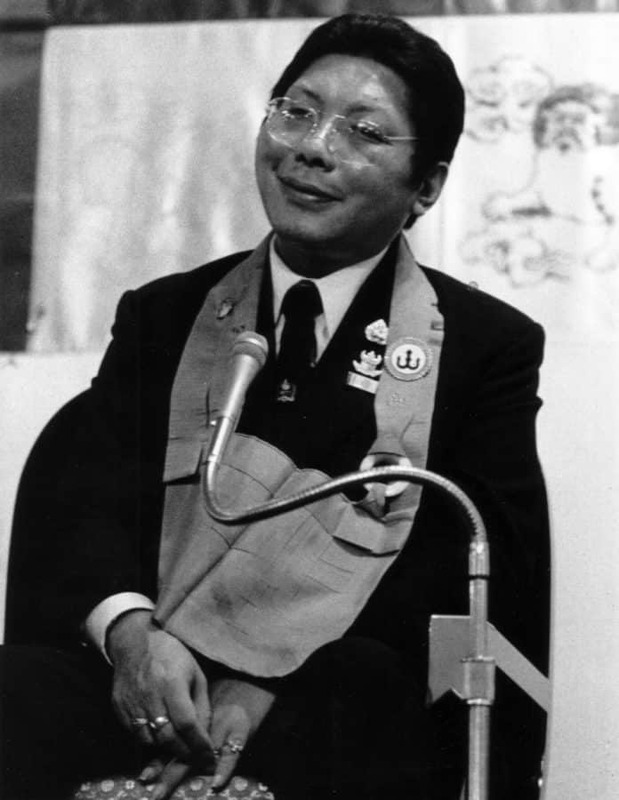 It was 1976 and I was attending a public seminar at Karme Choling conducted by Chogyam Trungpa Rinpoche. A close friend and I first met Rinpoche in 1971 and my friend had already attended the 1975 Seminary. 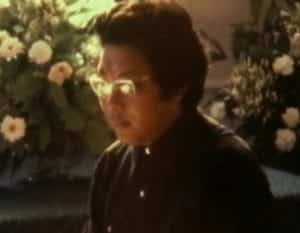 I very much wanted to attend the next Seminary which would not take place until 1978 because Rinpoche was scheduled to do a year-long retreat during 1977. In those early days seminary applicants outnumbered available spaces and it was not unusual for students to apply several times before being accepted to Seminary. As I sat listening to Rinpoche’s lecture, I kept thinking that this could be the last chance for me to speak to Rinpoche about attending the next Seminary. Prior to 1976 after Rinpoche lectured, students would crowd all around him to ask questions and to try to make a personal connection. 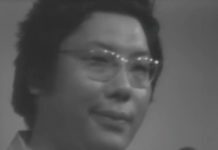 By 1976 the protocol had been established that a single line would form in front of Rinpoche after a talk, and students would need to join the line in order to talk to Rinpoche. Realizing that this would be my last chance to talk to Rinpoche, as soon as the talk finished I rushed to his seat. There was already one person talking to him, but I thought, no problem, since I was second in line. 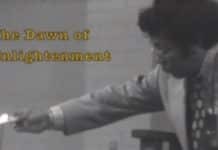 To my horror, I noticed that a line was forming behind the person talking to Rinpoche. 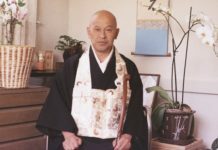 I thought that I should join the proper line but within seconds the line had grown to include about ten people and if I were to leave my position I would not necessarily get to speak with Rinpoche because he would often leave before talking with everyone in the line. I decided to stay. 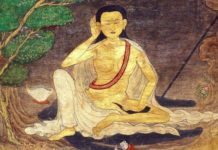 When the first student left, I leaned forward towards Rinpoche but he immediately engaged the next student. I felt uneasy and to make matters worse Rinpoche would glance at me as though to suggest that I should get in the proper line. When the second student left, again when I leaned forward Rinpoche immediately engaged the next student in line. While talking to the student Rinpoche would look at me and the looks were becoming more threatening. Finally when the next student left. I stepped right in front of Rinpoche. As I stepped forward Rinpoche flicked out his right foot hitting me on the shin. We were face to face. His look was frightening. I remember looking down and fidgeting with my fingers and blurted out, “Oh Rinpoche, I want to go to Seminary”, and then looked up. His threatening look had turned into a broad beaming smile and he said, ‘Oh, that’s good to hear”. Rinpoche then leaned back and raising his right hand in the air said, “Could someone get me a pen and paper”. The Kasung had not yet been established and there was a moment of confusion and then finally someone gave Rinpoche a pen and paper. 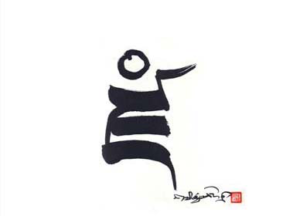 Rinpoche then began to write a letter in Tibetan and when he was finished writing, he handed me the letter and told me to include it in my application. 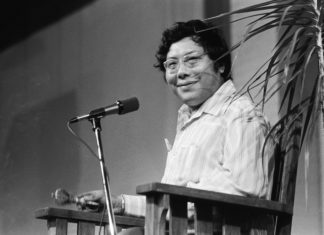 In 1974 during the inaugural session of The Naropa Institute, Chögyam Trungpa presented this course on meditation.